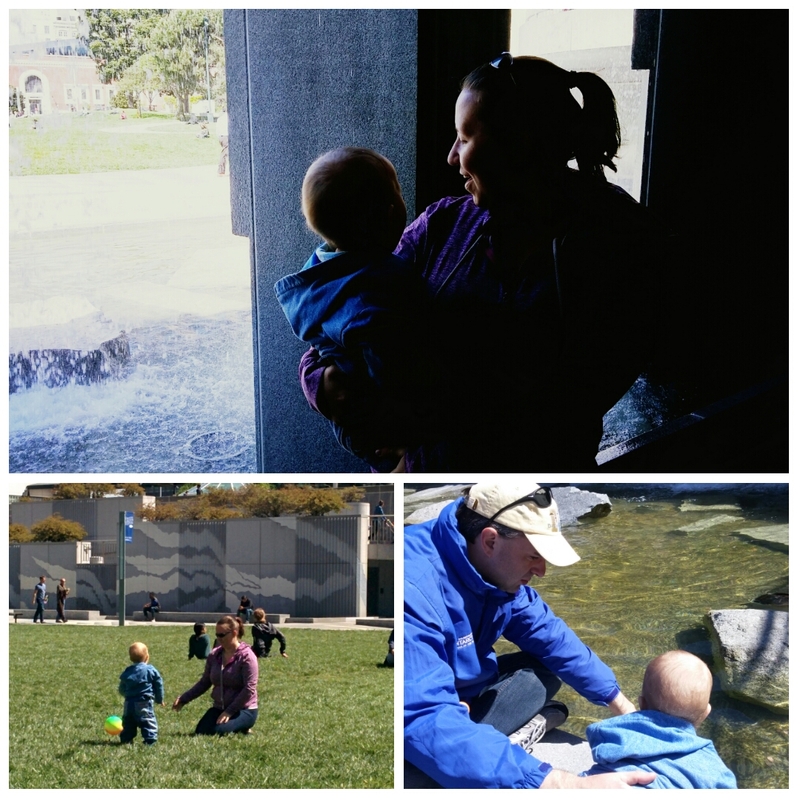 We spent a wonderful day in San Francisco as one of the stops on our cruise. Unfortunately, I was getting over a cold and Damon was healing from a dental procedure. So our first stop was a pharmacy. And, of course, along the way, mini-man fell asleep. On the plus side, it gave us time to get to the pharmacy and make some plans. 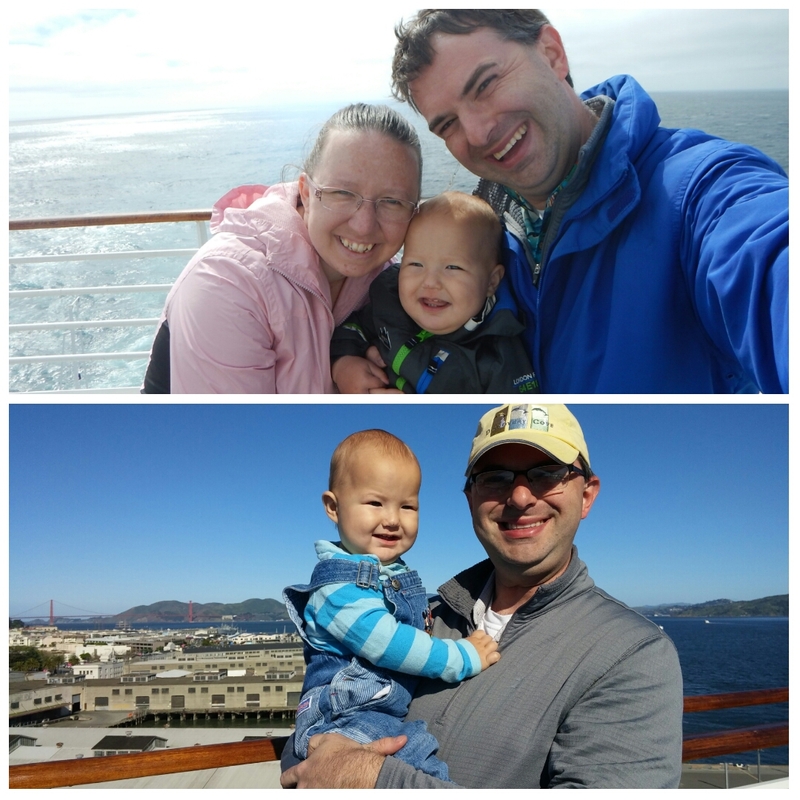 When we go on cruises, we try to be adventurous and not make concrete plans. We just make a list of goals and try to accomplish as much as possible. 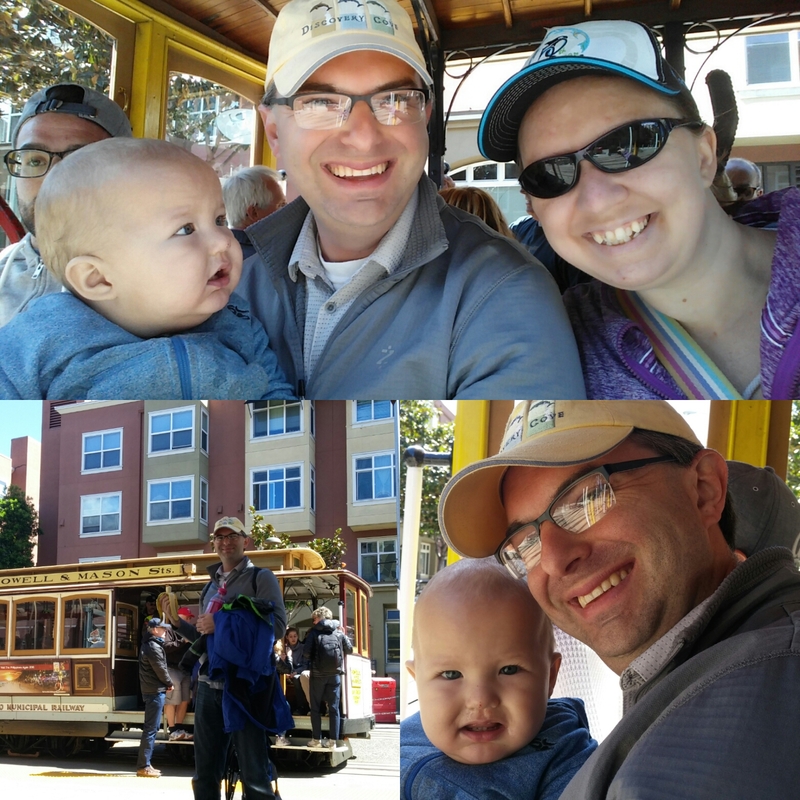 Our first stop was a trip on a San Francisco Trolley ( a must as Damon LOVES trains!). Unfortunately, that love doesn’t seem to have been passed on to mini-man. The gears on the trolley made loud noises and it freaked him out. He clung to me and cried a lot. Luckily, we got to the end of the line pretty quickly, which happened to be really close to a park. Mini-man loves being able to run around. After filling up, we headed back towards the area where the ship was docked and managed to make our way to Ghirardelli! 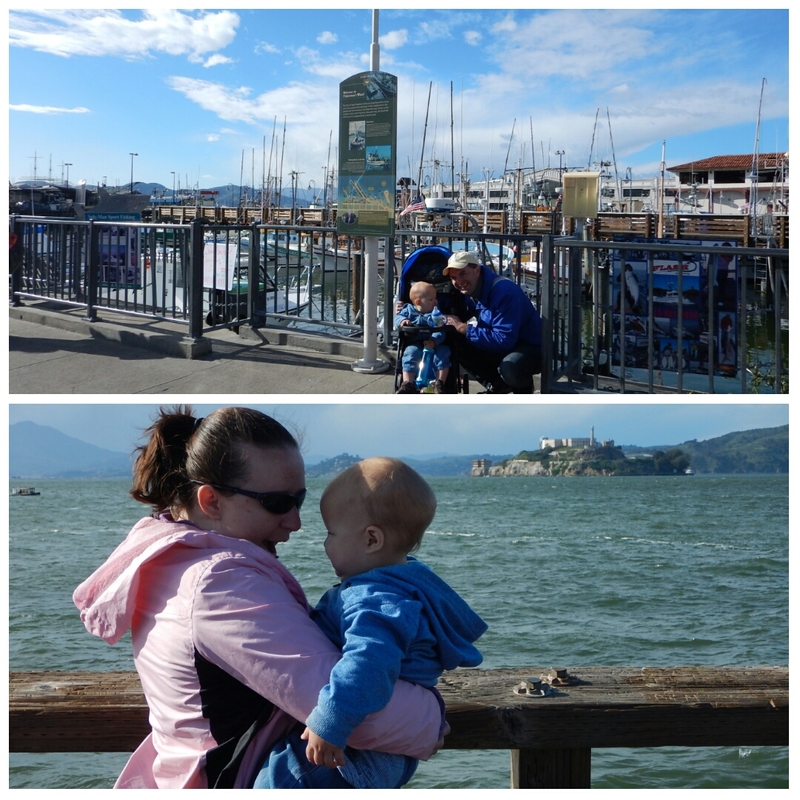 I think our adventure was a bit much for mini-man – he fell asleep again! 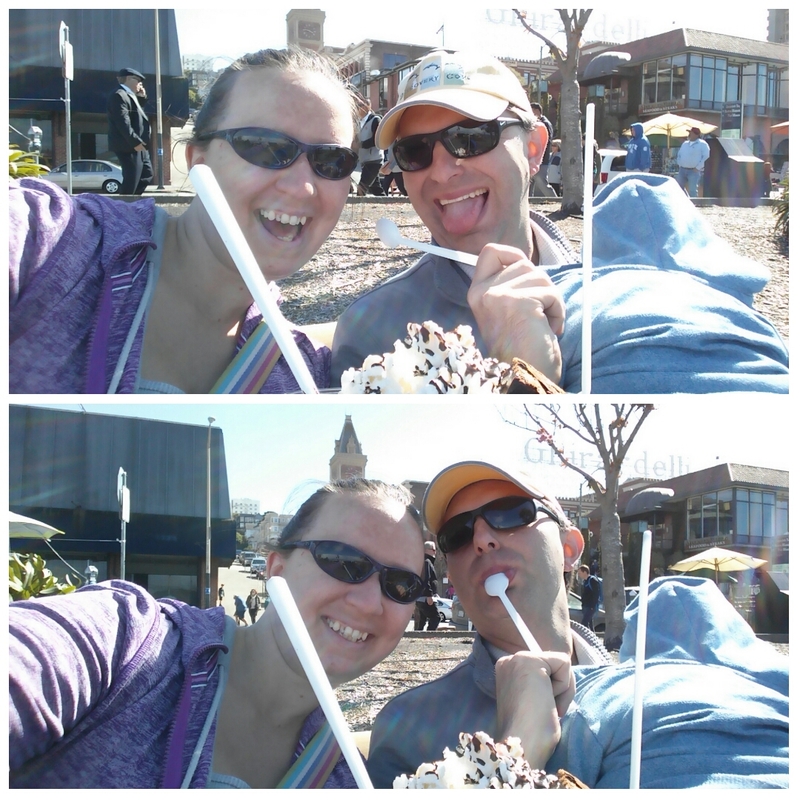 But Damon and I were able to enjoy some amazing ice cream. 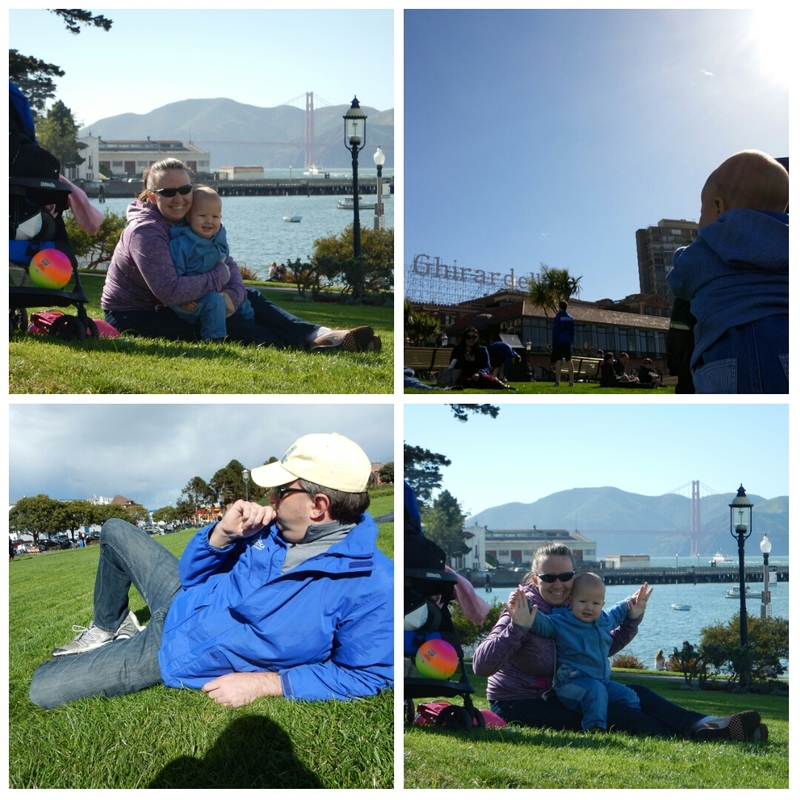 Once mini-man woke up, we were able to play in the grass with the Golden Gate Bridge in the distance. 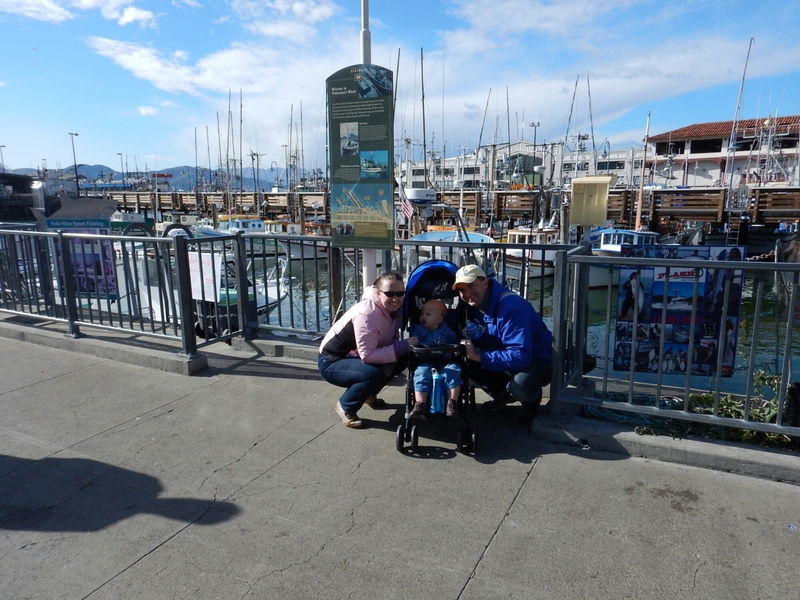 Our next stop was the infamous Fisherman’s Warf, where we got to look at The Rock (I always think of Sean Connery). During this stops, Damon sat on a wooden bench to rest. 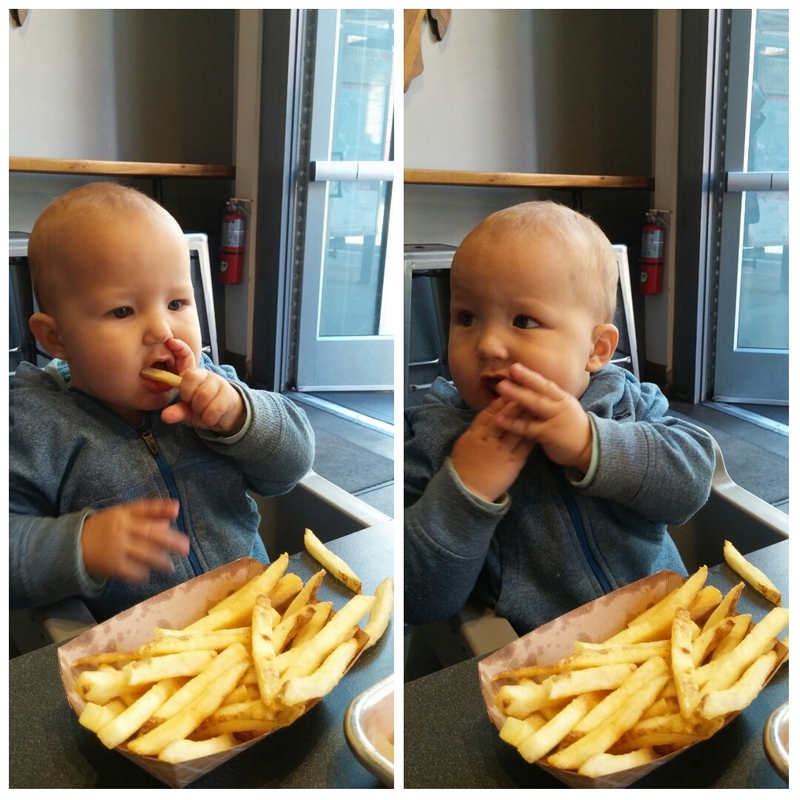 At one point he wanted to get a picture and slid down the bench – and received a splinter! Once we got back, Damon felt uncomfortable so we went in search of the onboard doctor. Much to Our surprise, we discovered that the splinter was an inch long! Thank goodness for the doctor. 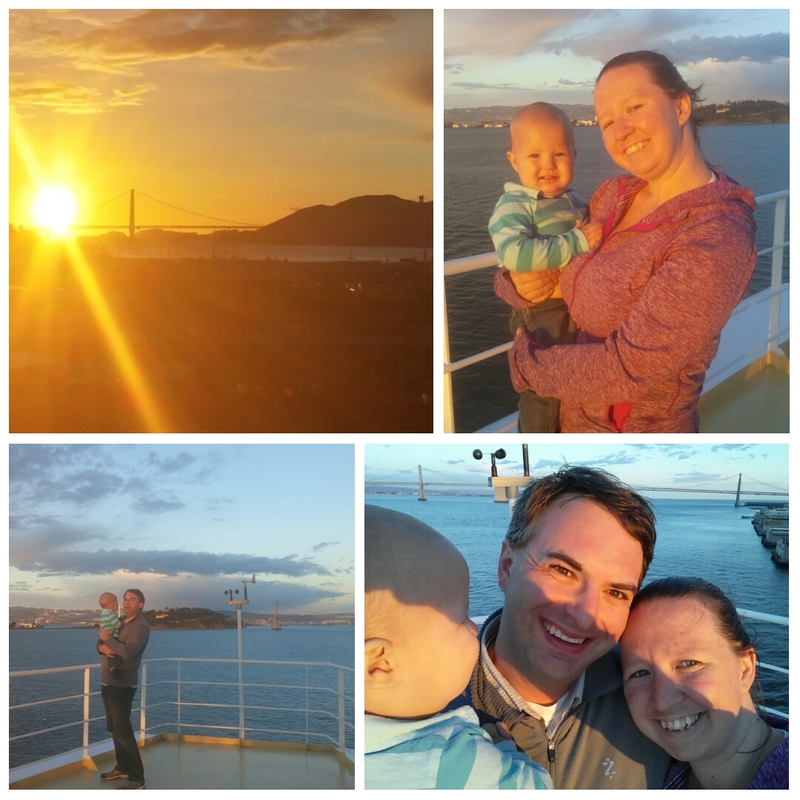 Afterwards, we decided to walk around the ship and stumbled upon a gorgeous sunset by the Golden Gate Bridge. Silver lining – we got to see this beautiful sunset due to Damon’s injury.